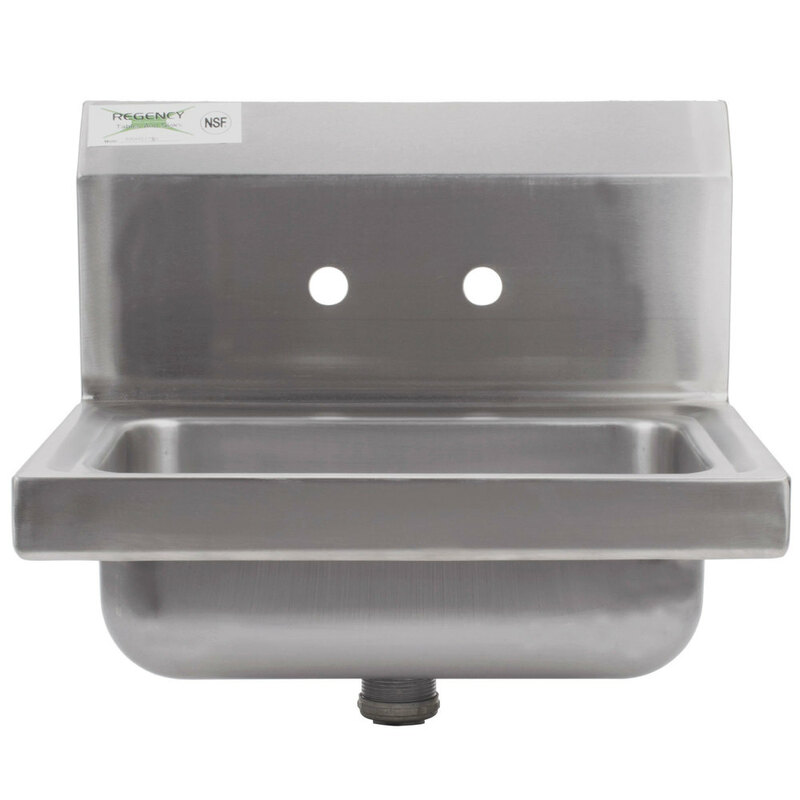 This Regency 15" wall mounted hand sink is made of 20 gauge type 304 series stainless steel, and provides an affordably priced hand washing station for any commercial kitchen. 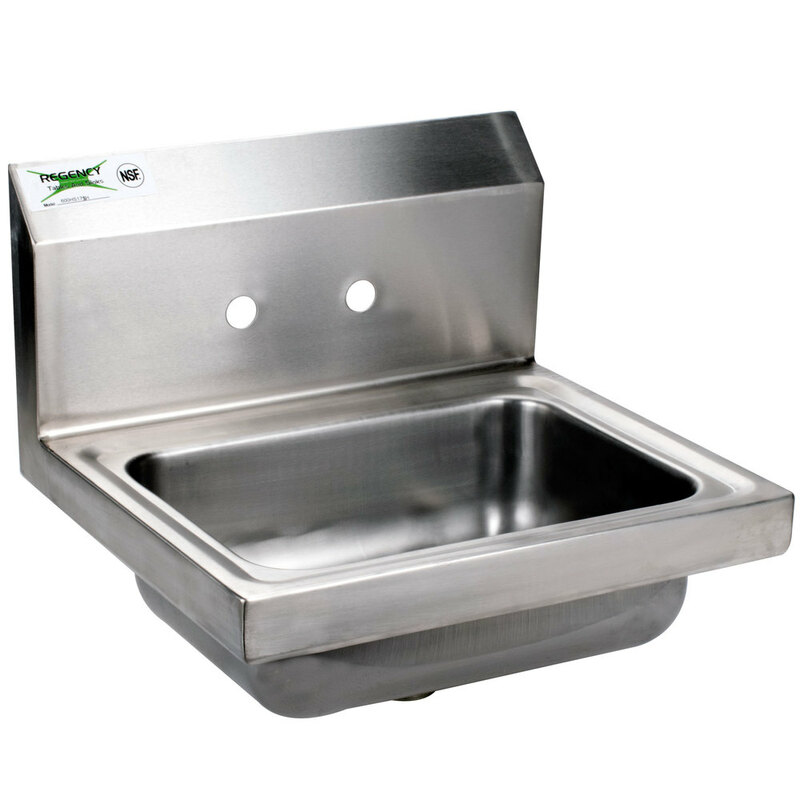 It features a single deep drawn 10" x 14" x 5" sink bowl, accented by a 9 1/2 high back splash. 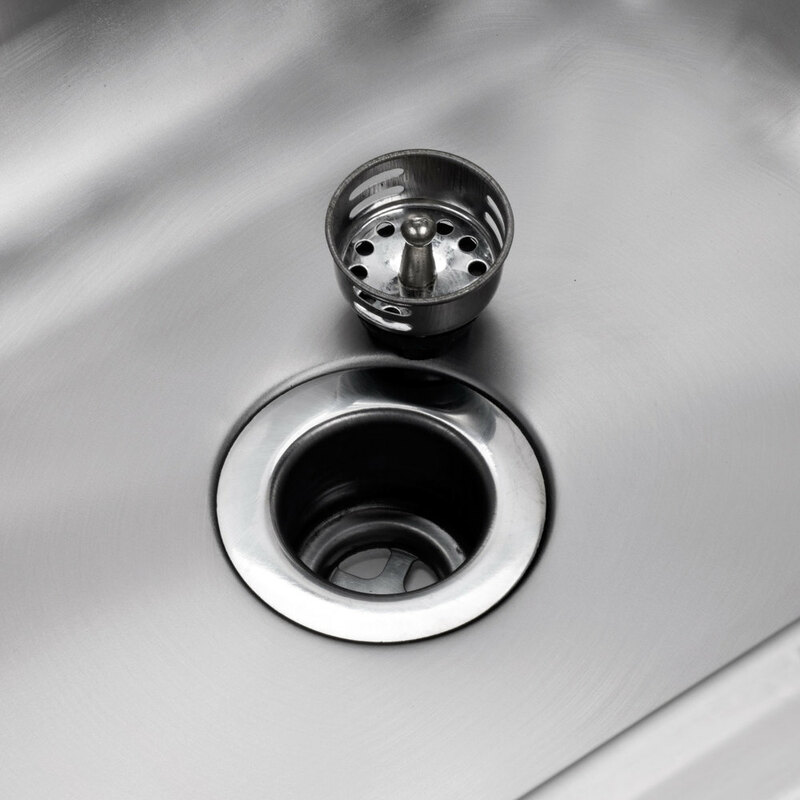 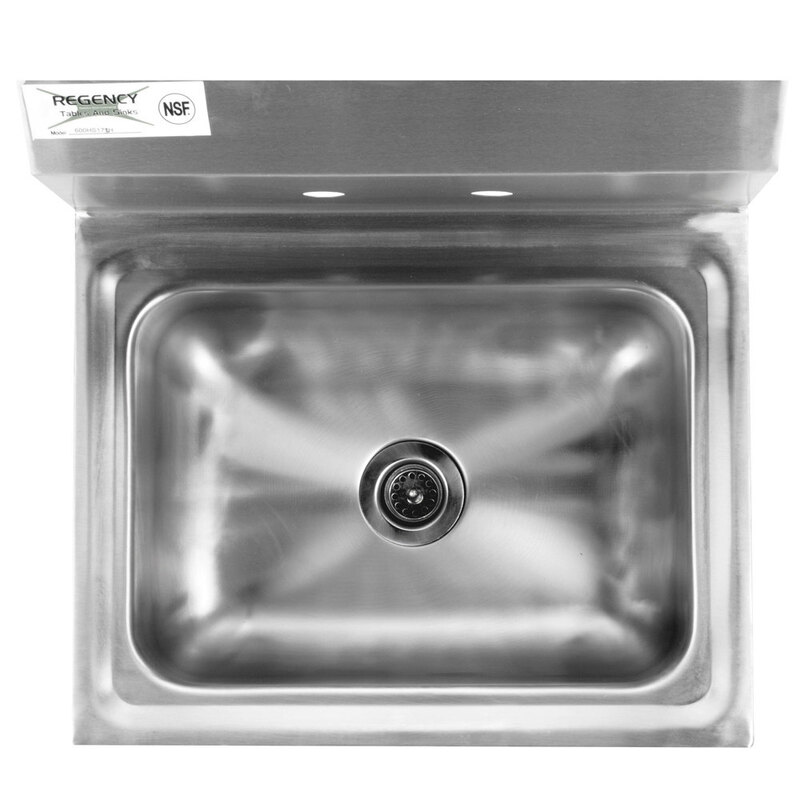 A 1 1/2" IPS stainless steel basket drain with drain basket allows for easy cleaning. 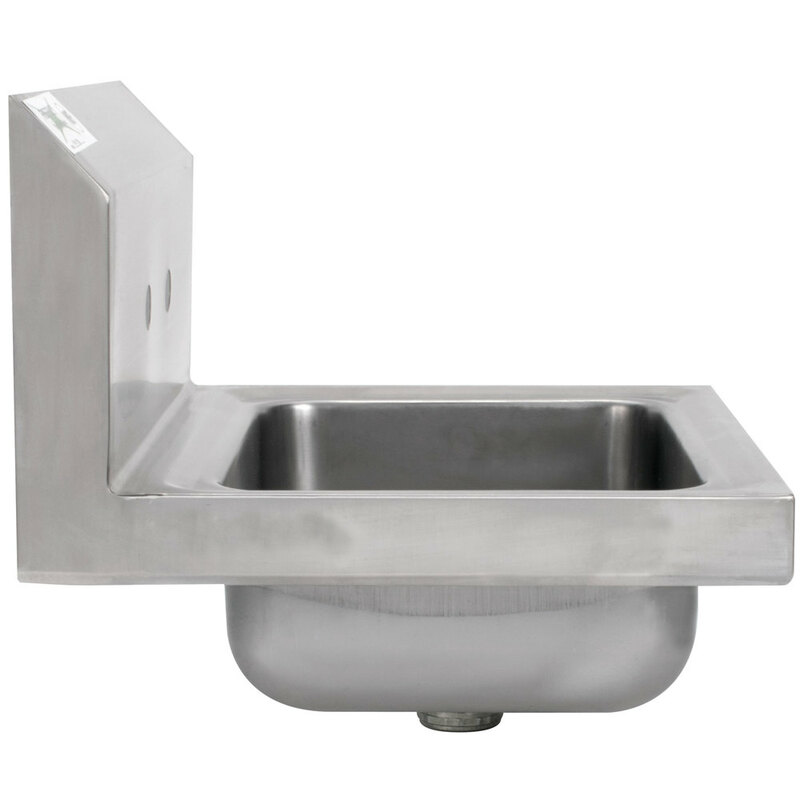 This economy hand sink has two holes punched on 4" centers to accept a 4" splash mounted gooseneck faucet (sold separately).